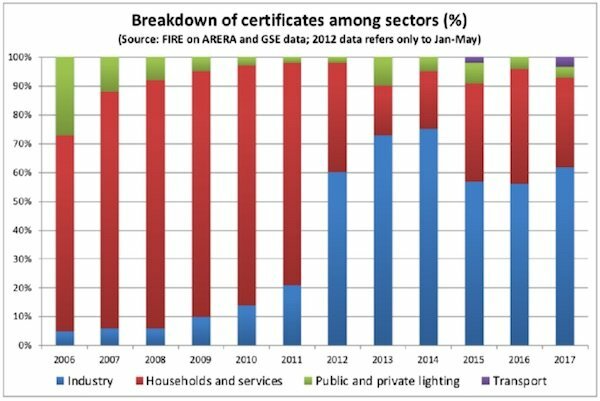 As thoroughly illustrated in my papers presented at ECEEE and IEPPEC 2018 conferences, the Italian white certificates scheme (WhC) has been facing in the last years serious issues, related to the lack of certificates to cover the scheme’s target, skyrocketing market prices, frauds with simplified (standard) energy saving assessment procedures, etc. In order to deal with such issues the Ministry of economic development issued decree D.M. 10 maggio 2018 to modify the WhC guidelines introduced in 2017. The presentation held at Ponti 2018 event in Bolzano briefly describes the main changes. The Italian WhC scheme has been working since 2005, delivering more than 26 million tons of oil equivalent cumulated by the end of 2017. Despite its longevity and success in terms of savings results, many issues have arisen in the last years, due to a mix of factors: stricter and more complex rules, reduction of low hanging fruits, especially in the industrial sector, frauds, market rules and cost recovery mechanism. In my recent papers presented at ECEEE and IEPPEC conferences such issues are illustrated in details, together with the main rules, and the need of amendments is highlighted. The peer-reviewed paper and the presentation on the lessons learnt over 12 years of evaluation on the Italian white certificate scheme presented at the 2018 IEPPEC conference in Vienna. Both the main results and the issues arisen over the years are illustrated, together with a focus on the evaluation practices and outcomes. The peer-reviewed paper and the presentation on the Italian white certificate scheme as a tool to promote energy efficiency presented at the 2018 eceee conference in Berlin. Both the main results and the issues arisen over the years are illustrated, together with a focus on the industrial sector. 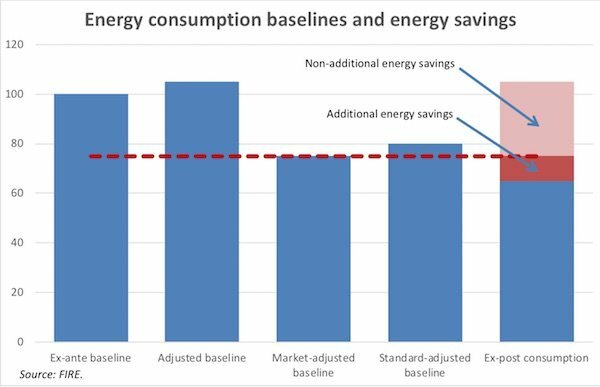 Energy efficiency obligation schemes (EEOs) are used in many EU countries as a policy measure to reach energy efficiency targets. Some of the first EEOs (UK, Italy, France, Denmark) have been capable to reach positive results over the years, as clearly demonstrated by the ENSPOL project. 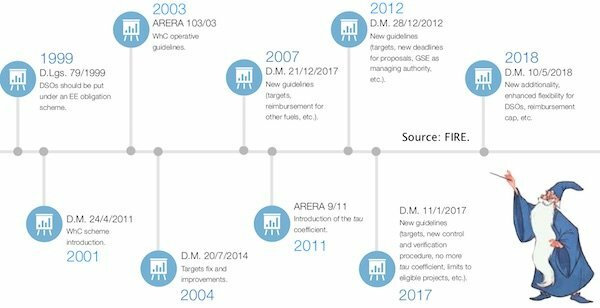 The Italian mechanism, in particular, is an interesting example of white certificate scheme (WhC), since it is one of the most long-lasting schemes (operatively started in 2005), has ambitious targets, covers all sectors and energy efficiency solutions, and has many flexibility options in place (e.g. non-obliged parties, tradable market, bankability, etc.). The presentation held at the Germany G7 meeting in Berlin about the Italian white certificate scheme. The ENSPOL project was also presented, as example of cooperation among countries and of a platform to allow an exchange of best practices, capable of supporting policy makers in creating new incentive schemes or improving the existing ones. My presentation about energy efficiency in industry held at the workshop “Energy efficiency: where will it lead us” at the British embassy in Roma on 26 March 2014. Topics: statistics, comparison with energy efficiency gains and white certificates in industry, discounts for energy intensive industries, energy management systems, energy managers, international standards.